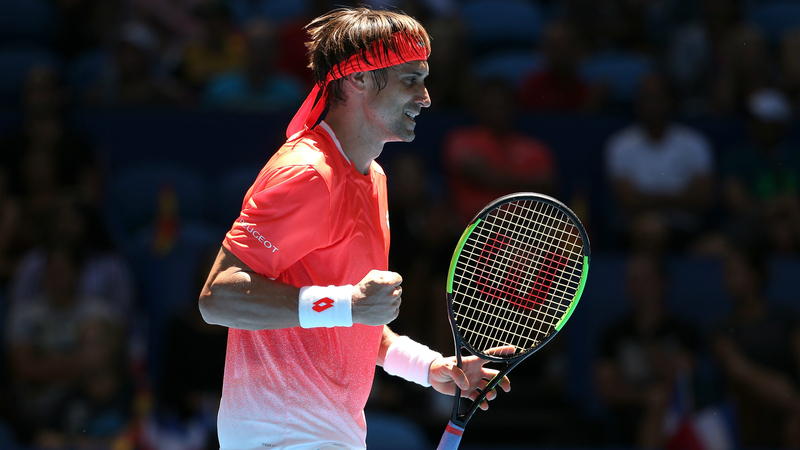 David Ferrer's farewell tour continued with a hard-fought win over Malek Jaziri at the Argentina Open, while Sam Querrey progressed in New York. Ferrer will retire from the ATP Tour in May but the Spanish veteran showed he is not a spent force just yet following Tuesday's 7-6 (15-13) 6-3 victory in Buenos Aires. A three-time Argentina Open champion, Ferrer saved six set points in a wild first-set tie-break en route to victory, which the 36-year-old secured with a fourth match point against the eighth seed. After his 728th career victory, wildcard Ferrer will meet countryman Albert Ramos-Vinolas in the second round. Juan Ignacio Londero could not continue his fairytale run after going down to fifth seed Joao Sousa 6-3 6-4. Londero had not won an ATP match prior to last week's triumphant Cordoba Open campaign, but, the Argentinian was no match for Sousa. The only other seed in action on Tuesday, Dusan Lajovic, lost 6-3 7-6 (7-3) to Leonardo Mayer. Aljaz Bedene, Roberto Carballes Baena, Pablo Cuevas, Jaume Munar and Guido Pella were the other players to advance at the ATP 250 tournament. Elsewhere, last year's New York Open runner-up Querrey moved through to the second round via a 7-6 (7-2) 6-2 win over Lloyd Harris. Querrey - the sixth seed following his 2018 final defeat against Kevin Anderson - will face either Ivo Karlovic or Radu Albot in the next round. French fifth seed Adrian Mannarino was a casualty, upstaged by Reilly Opelka 2-6 7-6 (7-5) 6-4, while Ryan Harrison, Christopher Eubanks, Guillermo Garcia-Lopez, Jason Jung and Brayden Schnur were victorious in the United States.